And about the background...................... ---> Sparkly stuff! XD! Browse Clannad Gallery: Recent | Popular. greets from a big clannad fan! This is awesome. Very nice vector! I lov it so much! 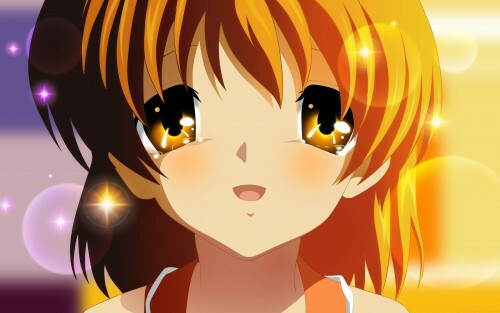 tears of joy and happiness after hearing that Tomoya proposed to marry Nagisa-chan. Adorable wallpaper! It captures the happiness wonderfully! Nagisa-chan! So cute. thanks for sharing this! Nagisa Furukawa Eyes is pure Beauty! This is very, very beauitiful!